Products for your Boxster, Cayman and Carrera. This pic was taken on the last good weather day of my favorite season: Fall. Driving a new-to-me '09S in Aqua Blue Metallic. It does .5 past light speed. I made the Kessel run in less than 12-parsecs. Motto: If you have your top up, that storm outside had better have a name! 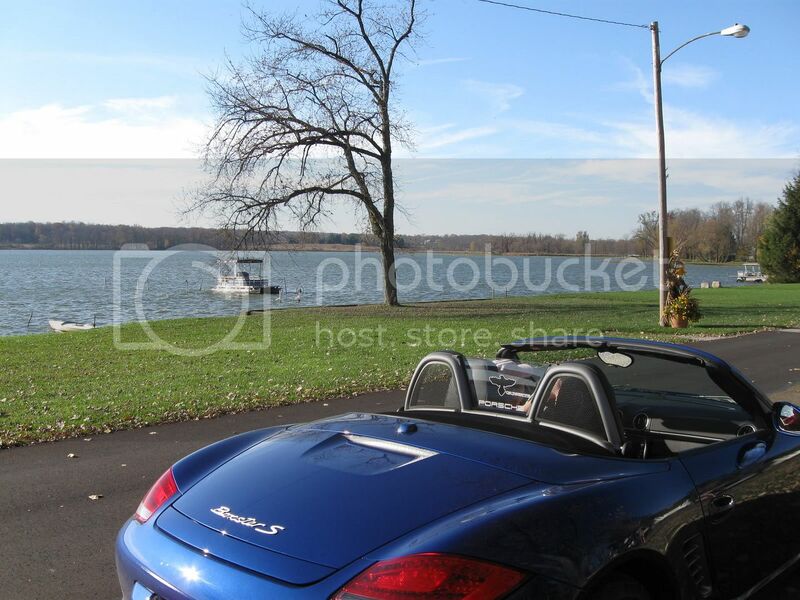 Motto 2: Having the top up on a convertible is an oxymoron. Don't be a (oxy)moron.